Coach Keith Wiatrak gathers his team during a timeout as the Indians crushed the Hornets Tuesday night 59-21. On the girls’ side, St. Paul and Chetopa kept it close as the Indians scored 14 and Chetopa scored 11. St. Paul scored an additional nine points in the second quarter, as Chetopa scored five more points as the gap started to open up. At the half, the Indians led the game with a score of 23-16. St. Paul stepped up their performance in the third quarter, scoring 14 points and allowing only seven as St. Paul maintained their lead. In the fourth quarter, St. Paul outscored the Hornets again as the final score of the game came to 49-28 as the Indians cruised past the Hornets. Junior Katie Coomes came up huge for the Indians scoring 12 points. Junior Emily Hutcherson came up big as well for St. Paul as she finished with a game-high 13 points. During the boys’ game, St. Paul breezed past the Chetopa Hornets. In the first quarter, St. Paul earned themselves fifteen points as it was an offensive explosion for the Indians. Defensively as well, the Indians only allowed the Hornets to three points. The second quarter revealed much of the same aggressiveness from the Indians, as St. Paul scored fifteen points opening the gap as Galena scored only one point. At the half, St. Paul led by 26 points with a score of 30-4. 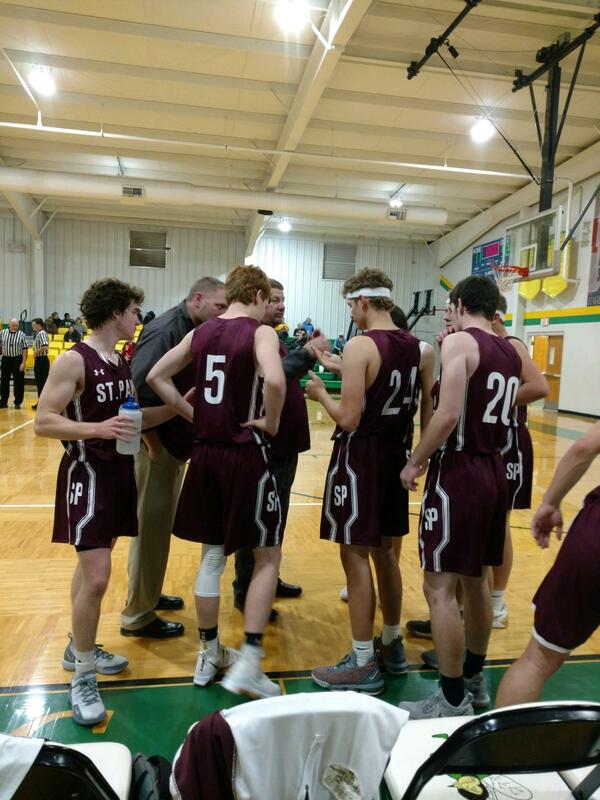 St. Paul refused to let Chetopa get back in the game in the third quarter as the Indians scored 22 points allowing the Hornets to only seven. In the end, the Indians held strong, as they proved to be too much for Chetopa. As the fourth quarter came to an end, St. Paul defeated Chetopa by scoring seven additional points and allowing ten, bringing the final score to 59-21. Junior Adam Albertini lead all scorers with 19 total points. Juniors Kaleb Lemmons and Kenny Haney finished the game with 12 points as well. St. Paul’s next matchup will be Friday, December 7 as they face the Columbus Titans in the continued St. Paul Tournament.